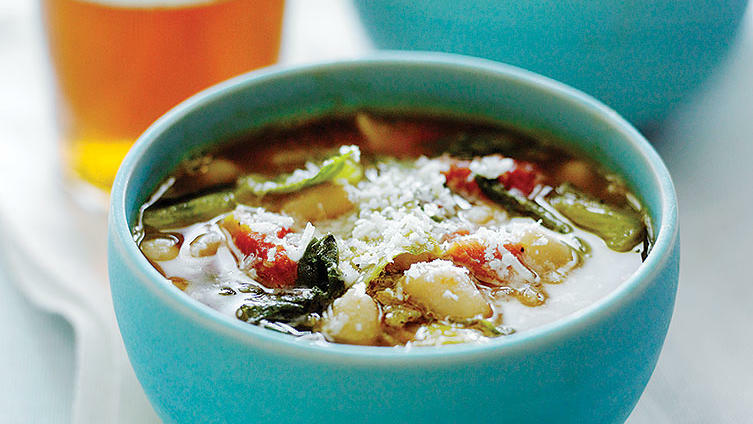 We like the robust flavor of red Swiss chard when paired with creamy, slightly sweet white beans. You could also make it with green Swiss chard, which is milder, or spinach. Chorizo makes these velvety beans extra-rich and savory. If you're in a real rush (or don't want chorizo), just microwave the beans, thinned with a bit of water, while you're making the huevos rancheros. 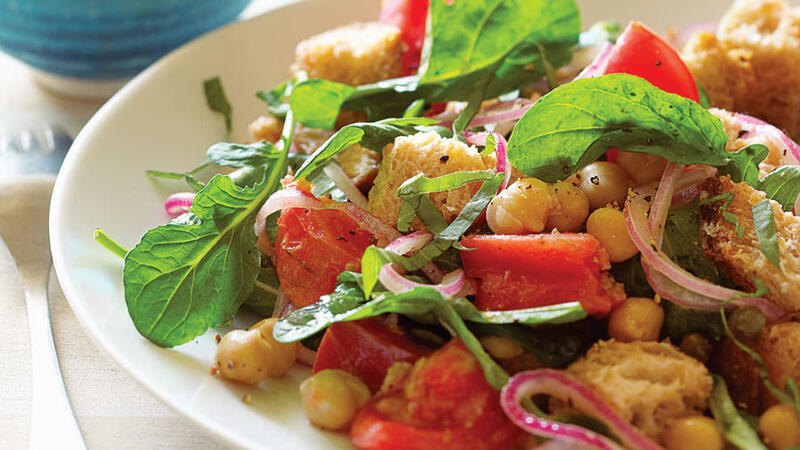 Whole-grain bread and chickpeas add heft to the classic Italian bread salad. This Mediterranean-inspired dip is the perfect appetizer for last-minute entertaining and a nice break from one of our other favorite bean dips, hummus. 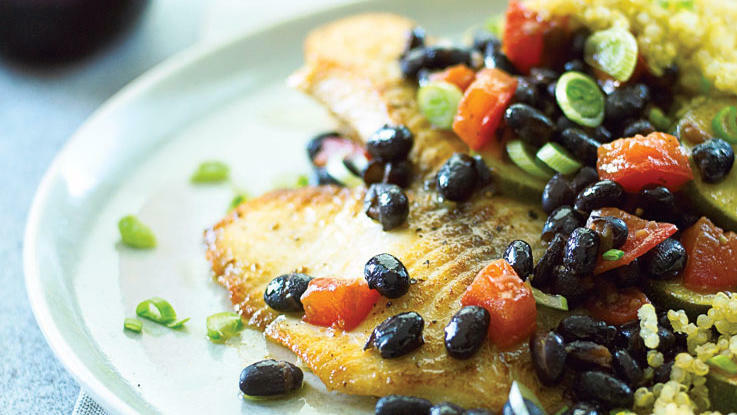 Good-for-you fish topped with an easy salad of nutty quinoa, earthy black beans, and fruity tomatoes makes for a super-simple, healthy dinner. 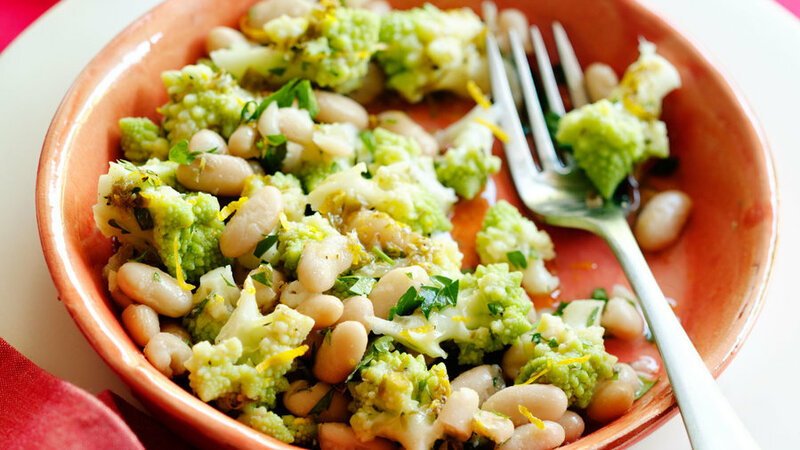 The orange vinaigrette brings out the delicate sweetness of Romanesco and cannellini beans. 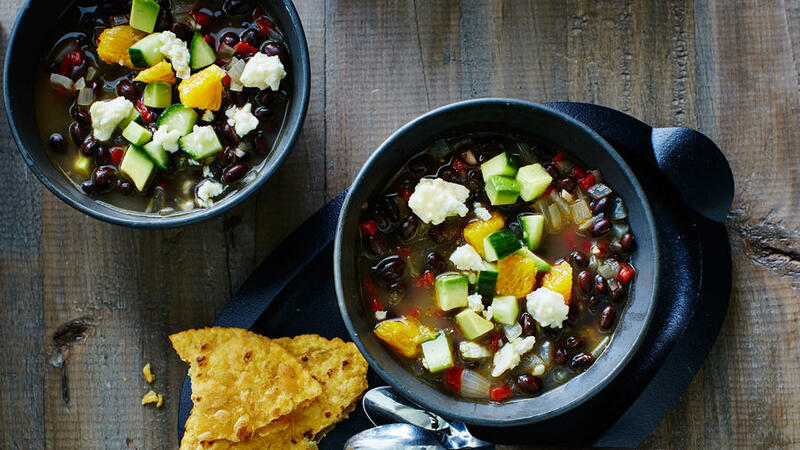 We love black beans here in the West and this low-cal, tangy dish, based on a recipe in Mexican Everyday by Rick Bayless, really makes them shine. 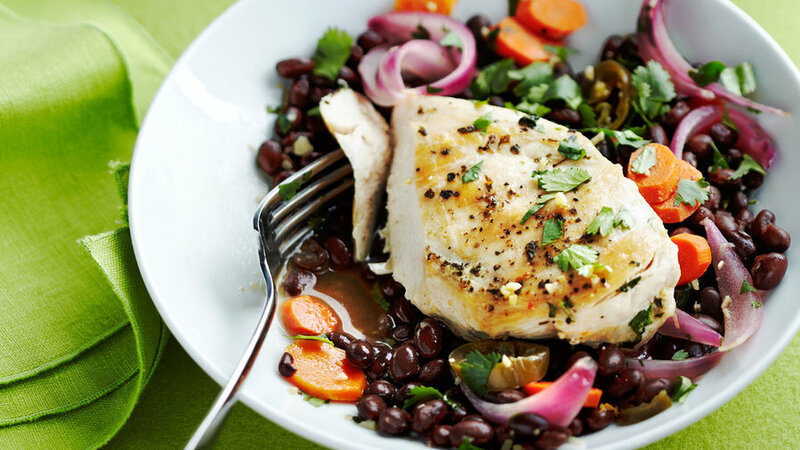 What's good about it: Puréed beans are, of course, low in fat. 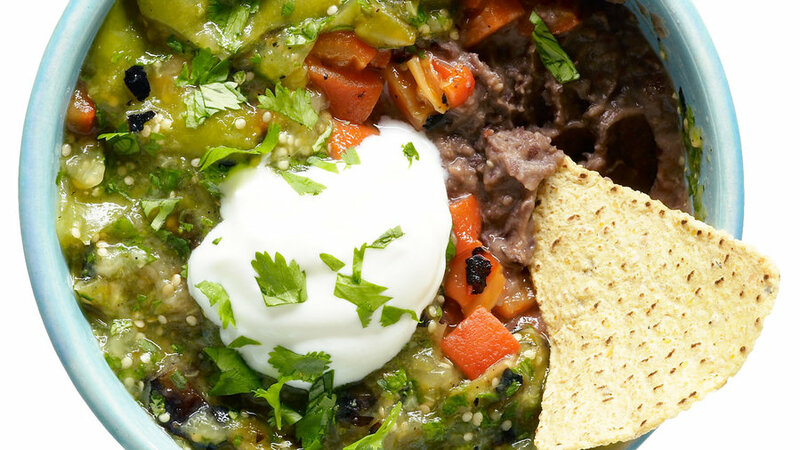 Tomatillos add vitamin C and so much flavor, you won't even miss the usual cheese. 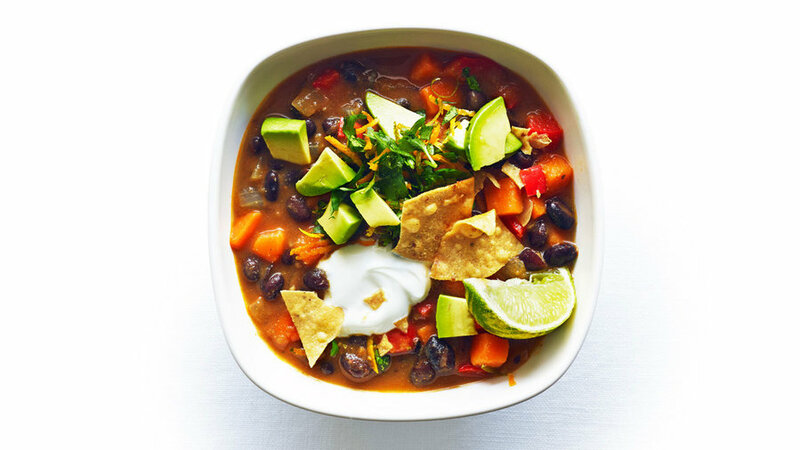 Serve with baked tortilla chips. 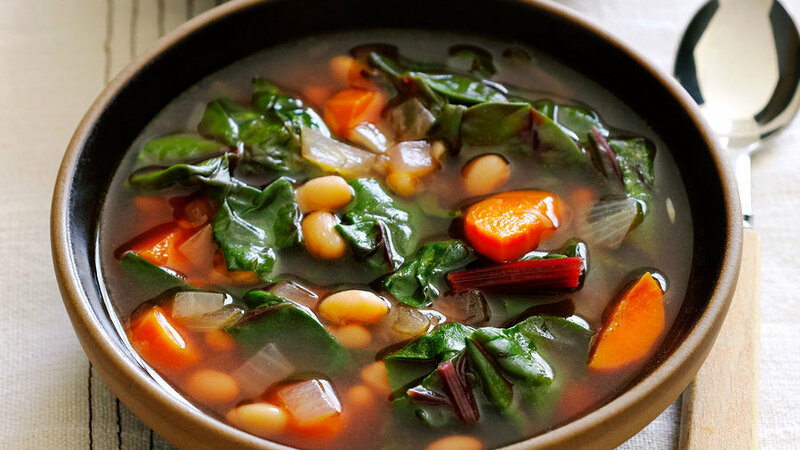 This hearty, classic combo of greens and beans is especially satisfying on a cold winter night. 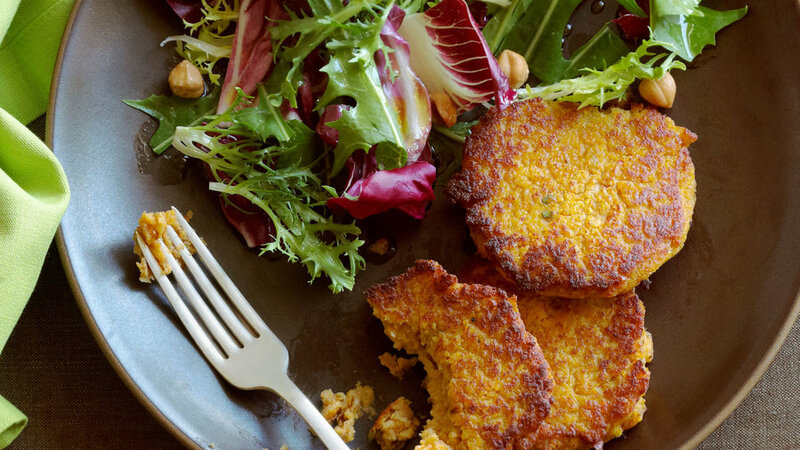 Serve with crusty bread and a green salad. 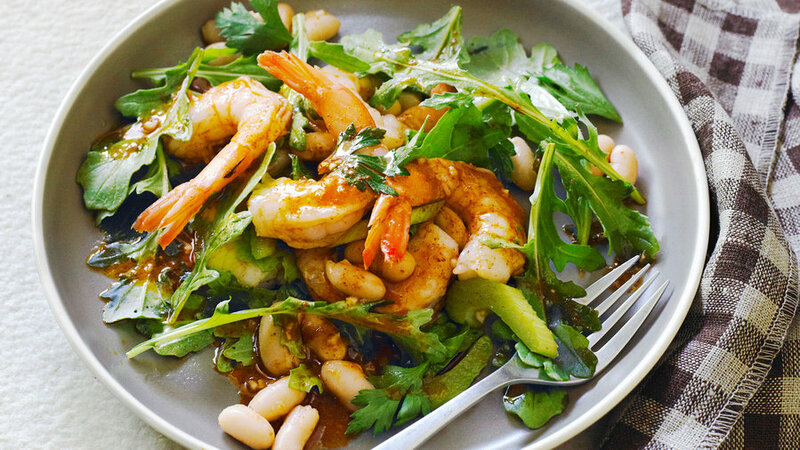 You'll find yourself turning to this simple salad of tender white beans and sweet shrimp often. You might want to taste the dressing as you make it and adjust the quantity of harissa accordingly, though, since the heat varies by brand.